On a hot summer's day in Boston, US Marine turned Homicide Detective Reid Halsey finds himself in the middle of a deadly shootout with a murder suspect. When Lucas Soul, a seemingly innocent victim, rises from the dead moments after a fatal gunshot wound to the head, Reid comes to the shocking realization that the world he believes in may very well be a carefully fabricated lie masking an unearthly reality. 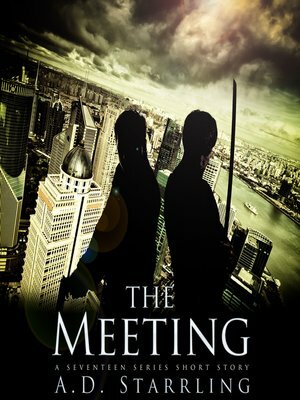 The Meeting is a short story set in AD Starrling's bestselling supernatural thriller series Seventeen. If you like high-octane adventures that combine science and fantasy, then you'll love the world of Seventeen. Get this thrilling short story and continue the epic series today!